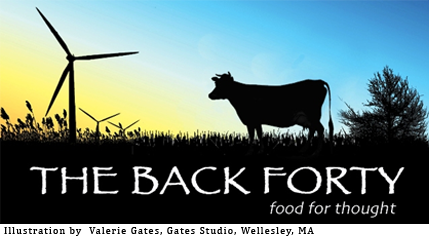 The Back Forty » Improving health through better nutrition? Fuggedaboudit says the GOP. Putting the fat back into America’s food policy is a loud and clear priority for the new majority in Congress this year. First Lady Michelle Obama launched the “Let’s Move” initiative in February 9, 2010. A widely acclaimed first step to taking on childhood obesity, the First lady hasn’t been shy about wielding her considerable influence in order to make healthier kids, with healthier parents along with healthier seniors, a priority. The Department of Agriculture (USDA), under the guidance of Secretary of Agriculture Tom Vilsack, has been a willing partner in Obama administration efforts to help create a healthier America. As recently as August 2014, the Food and Drug Administration (FDA) announced new updates in labeling to make it easier for consumers to glean nutrition information about food items they purchase. Rolling back healthier school menus are on the table. The new Republican Congress has been busy laying groundwork to push back on better nutrition standards in 2015. Don’t be surprised to see GOP lawmakers take on school nutrition from Day One. Provisions to allow states more flexibility to exempt schools from the Department of Agriculture’s whole-grain standards, and to halt future sodium restrictions are just the beginning. The battle over new reforms championed by Mrs. Obama is expected to escalate. The guy in charge is U.S. Rep. Robert Aderholt (R-Ala.), chairman of the House Appropriations Agriculture Subcommittee. It’s interesting to note that Alabama has the nation’s highest rate of obesity among high school students. Still, Rep. Aderholt’s been leading the charge on school lunch backsliding nutrition standards. Go figure. And his cause is set to receive a boost from the House Education and Workforce Committee, chaired by Rep. John Kline (R-Minn.), and the Senate Agriculture Committee soon to be chaired by Sen. Pat Roberts (R-Kan.), as they begin the re-authorization process on the law governing school nutrition programs. Republicans openly voice dissatisfaction with the 2010 Healthy Hunger-Free Kids Act, a law with many of the reforms triggering complaints among school food service providers, and Republicans who argue the rules are too prescriptive and costly. The School Nutrition Association (SNA) seems a misnomer for a group that went to war with the White house over new regulations to limit sodium, fat and sugar as well as the mandate that grain products are whole grain-rich, and that kids take a serving of fruits or vegetables. SNA’s request to drop the half cup serving of fruits or vegetables is strongly opposed by nutrition advocates, the White House, and the produce industry which has seen sales gains in produce sales because of the program. SNA claims the requirement has led to skyrocketing waste and costs, creating dire financial consequences for some school nutrition program providers. SNA will host a fly-in to Washington and Capitol Hill to talk to lawmakers the first week of March. Close to 1,000 member lobbyists will be armed with talking points against the higher standards and stories arguing that having vending machines and a la carte lines with better nutrition requirements has led to lost revenue for schools — reducing sodium is emerging as a sore point, too. Never mind the high medical costs from our nation’s not so secret killer in the form of high blood pressure fueled by high salt intake. As for consumer nutrition labeling advances, the FDA can expect to feel the heat on its rule requiring calorie labeling on menus at chain restaurants, grocery stores and movie theaters nationwide. The grocery and convenience store industries are especially upset about being included in the rule, mandated by a provision in the Affordable Care Act. 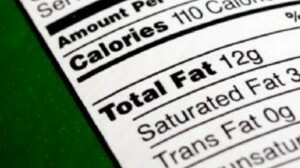 FDA included calorie counts for alcoholic beverages. That seems to have really stirred the pot (or should I say martini) for the new majority with GOP Rep. Cathy McMorris Rodgers says the FDA’s menu labeling rule is “suffocating America’s economy.” She countered with the Common Sense Nutrition Disclosure Act, HR 1249, a bill to roll back an assortment of the new requirements. Sen. Roy Blunt (R-Mo.) expects to champion a Senate version this year. She forgot the lost revenue at neighborhood bars where patrons will certainly be counting calories before ordering that beer after work. There is no doubt the reasons for continuing healthier practices by the food industry in allowing consumers to make choices has broad implications on our nation’s future health, and the back end of those choices in the cost of health care delivery as we grow older. The notion that America’s families don’t want or need to know what’s in their food or drink products seems more like Big Brother legislation than increased awareness of the products we consume. For the better part of the last year, RuralVotes and South Forward have been working together on voter protection and ballot access issues. Too many voters stayed home in 2014, many stating they don’t believe their vote matters. Many people also do not believe anything changes in their personal lives based on who gets elected. But when things like limiting our right to know about what we eat and drink are on the legislative table, it’s as personal as it gets.